The WATER PIPIT was at Clahane (Dave McNamara). The 12 Snow Buntings were still at George’s Head, Kilkee. A flock of 95 Barnacle Geese were near Goleen, west of Kilkee. 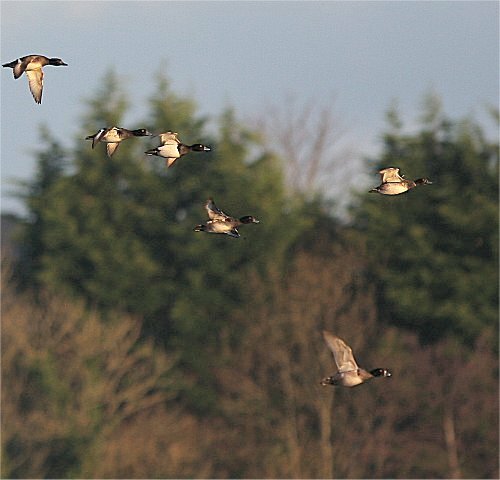 There were 40 Gadwall at Lough Inchiquin. The drake Green-winged Teal was at Bell Harbour (Barry Howell). A flock of 12 Snow Buntings were at George’s Head. Kilkee. One female Hen Harrier was at the Flaggy Shore, New Quay. Two Yellowhammers were at Mullaghmore, the Burren. There were 350 Black-tailed Godwits and 30 Whooper Swans at Lough Atedaun. There were 20 Pintail, 20 Gadwall and 38 Whooper Swans at Ballyallia Lake. 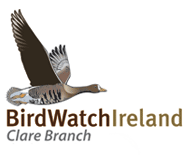 A flock of 29 Gadwall and seven Whooper Swans were at Lough Inchiquin, Corofin. Two Woodcock were at Clifden Hill, Corofin. One Woodcock was at Ballyea, Inagh. One Little Egret was at Bell Harbour. There were two Little Egrets near Corronroo on the Clare/Galway border. A flock of 110 Purple Sandpipers were at Seafield, Quilty. There were three Little Egrets near Corronroo on the Clare/Galway border. One Jay was near Lough Bunny, the Burren. One Woodcock was at Barefield this evening. One second-winter Iceland Gull was at Liscannor. Clarecastle on the new bypass road. There were 74 Little Grebes, 29 Gadwall and a Peregrine at Lough Inchiquin. 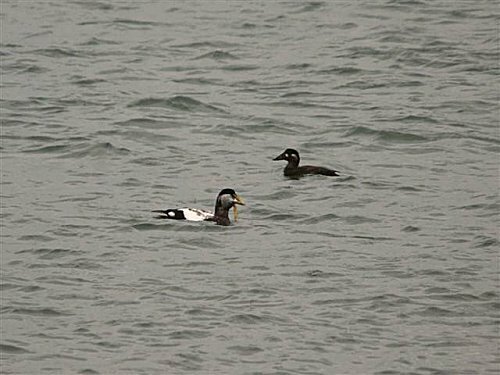 There was a first-winter SURF SCOTER at the White Strand, Doonbeg (John N Murphy). Five Little Egrets were at the Falls, Ennistymon. Twenty Gadwall and 25 Whooper Swans were at Lough Inchiquin. There were two Woodcock and two Jays at Clifden, Corofin. There were 15 Whooper Swans north of Lough Bunny. 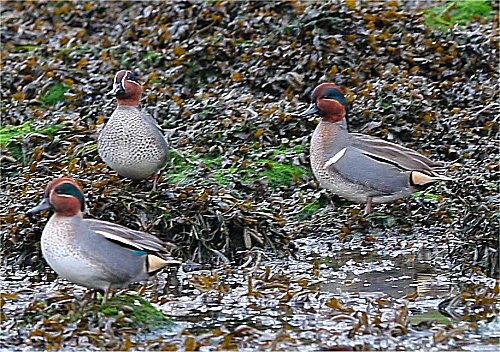 A flock of 100 Teal were at Doonbeg Bay. 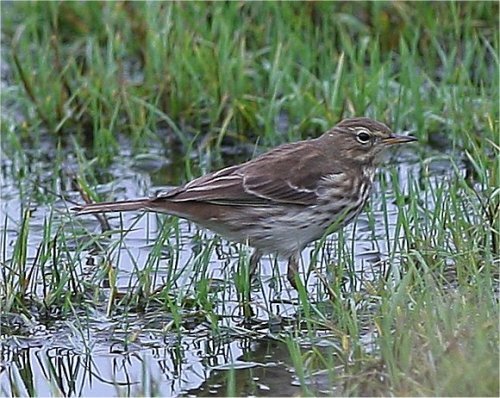 The WATER PIPIT was still at Clahane, Liscannor (Dave McNamara). An adult Ring-billed Gull was at Quilty beach this afternoon. A flock of 160 Barnacle Geese were on Mutton Island. One Merlin was at Seafield, Quilty. One Jay, 14 Gadwall and 53 Little Grebes were at Lough Inchiquin, Corofin. One Woodcock was on the Ballycar Road, Newmarket-on-Fergus. One Tree Sparrow was at the Cliffs of Moher. 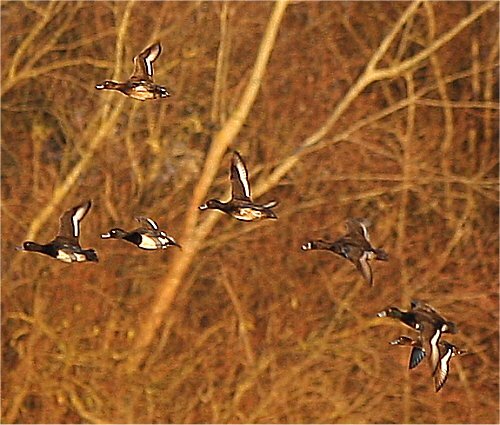 alongside 68 Tufted Ducks, two Goldeneye and two Jays were in nearby trees. A Jay was also spotted in Lees Road Wood. One first-winter Glaucous Gull was at Liscannor. One Little Egret and one Water Rail were at the Falls, Ennistymon. 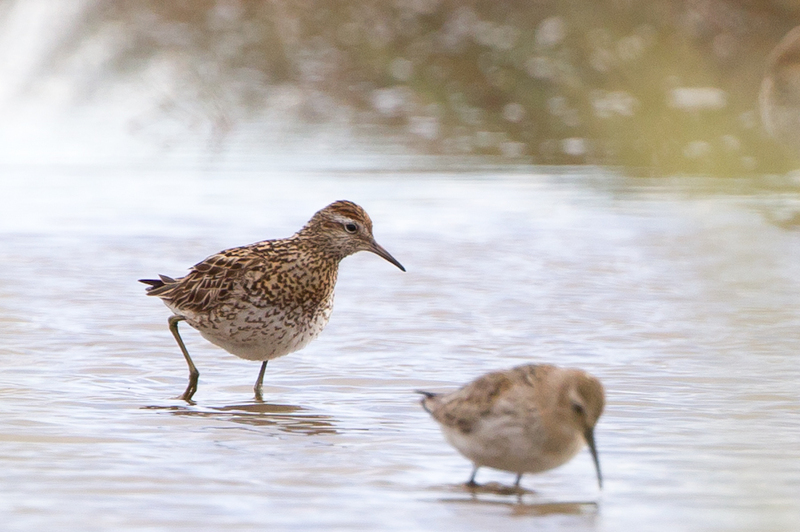 There were 2,000 Dunlin and 120 Grey Plovers at the Shannon Airport Lagoon. The WATER PIPIT was still at Clahane (Dave McNamara). The drake Green-winged Teal was at Bell Harbour (John N Murphy). There were five Black-throated Divers off Finvarra Point. 28 Common Scoter and over 600 Common Gull. A flock of 23 Brent Geese were at Ballyvaughan. Two Little Egrets were at Lough Murree, New Quay. There were 17 Whooper Swans near Lough Bunny. 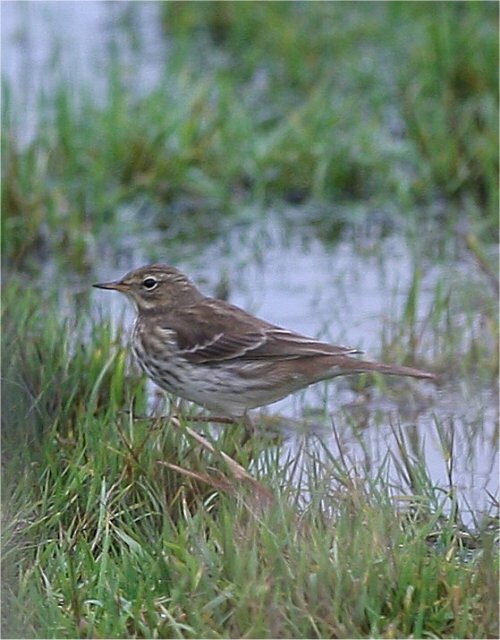 The WATER PIPIT was at Clahane, Liscannor (Dave McNamara). One first-winter Glaucous Gull and two Little Egrets were at Lahinch Marsh. 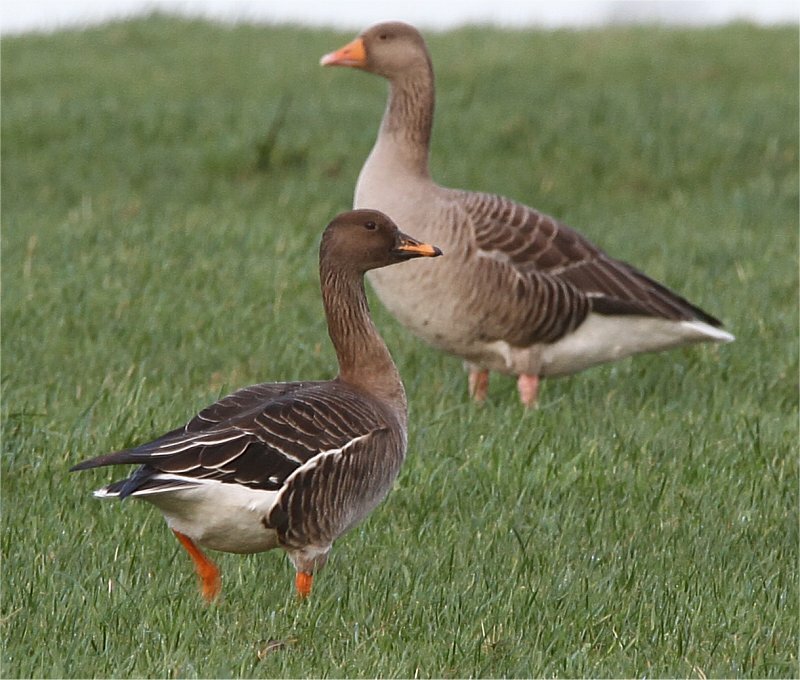 A flock of 18 Greylag Geese were at Ballycar Lake, Newmarket-on-Fergus. 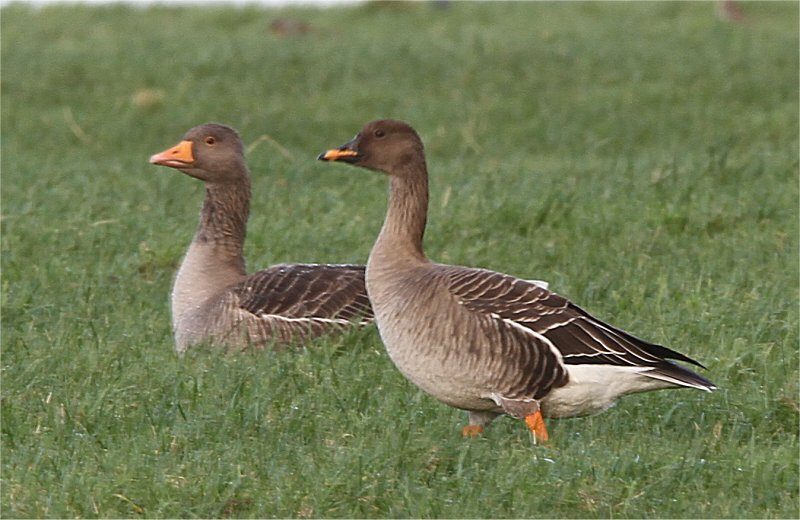 Forty Greylag Geese were at Ballycar Lake, Newmarket-on-Fergus. There were 58 Greylag Geese at Ballycar Lake, Newmarket-on-Fergus. Strand, Doonbeg (Maeve & Christy Meehan). There were three Black-throated Divers at Lahinch. One first-winter and one second-winter Iceland Gulls were at Liscannor. Four Woodcock were at Gortcoirce, Dysert. the White Strand, Doonbeg (John Rattigan). There was also one second-winter Mediterranean Gull at the White Strand. with the drake Eider (Brian Finnegan, Austin Cooney, Tom & Nuala Lynch). Ten Grey Phalaropes were off Finvarra Point. One Iceland Gull was at Liscannor. A flock of 54 Greylag Geese and one Water Rail were at Ballycar Lake, Newmarket-on-Fergus. and one Merlin (John N Murphy, Paul Gaughran, Ger & Jane Griffin). 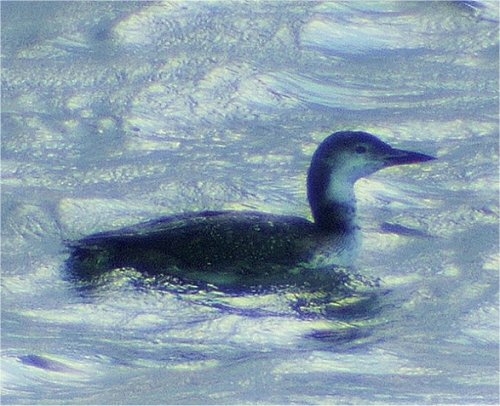 There were 32 Black-throated Divers and 50 Great Northern Divers at North Clare. One first-winter and one second-winter Iceland Gull were at Liscannor. One adult Green Sandpiper was at the attenuation pond near Manusmore, Clarecastle. One first-winter Glaucous Gull and 16 Great Northern Divers were at Seafield, Quilty. There were 180 Barnacle Geese on Mutton Island. A flock of 56 Whooper Swans were at Ballygireen, Newmarket-on-Fergus. Two Woodcock were at Applewood, Ballycar, Newmarket-on-Fergus. There were 200 Golden Plover at the Skivileen River, Doonbeg. One male Blackcap was at Willow Park, Ennis. Four Little Egrets were at Bishops Quarter. The WATER PIPIT was still at Clahane, Liscannor (John N Murphy). Strand, Doonbeg (Dave McNamara & Stan Nugent). 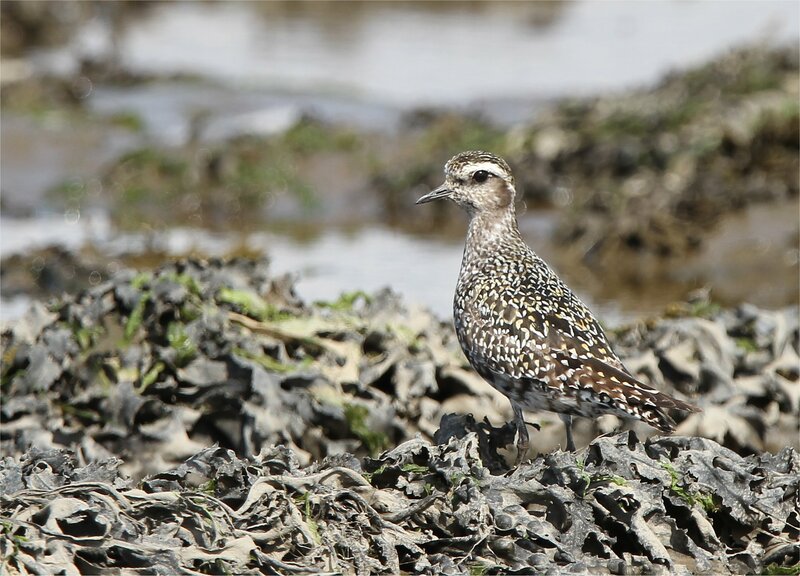 A juvenile American Golden Plover was at Doonbeg (Stan Nugent). One adult Mediterranean Gull was at Ballyallia Lake, Ennis. A flock of 15 Brent Geese were at Fanore. One WATER PIPIT was at Clahane, Liscannor again today (Dave McNamara). Doonbeg this morning (Bill Ryan). One Snow Bunting was at the Flaggy Shore, New Quay. One first-winter Little Gull was at Cregg Beach, Lahinch. One Peregrine was at Seafield, Quilty. Two Little Egrets were at Blackweir, Poulansherry. One Little Egret, 50 Brent Geese and 200 Lapwing were at Querrin Creek. There was a WATER PIPIT at Clahane, Liscannor (John N Murphy). 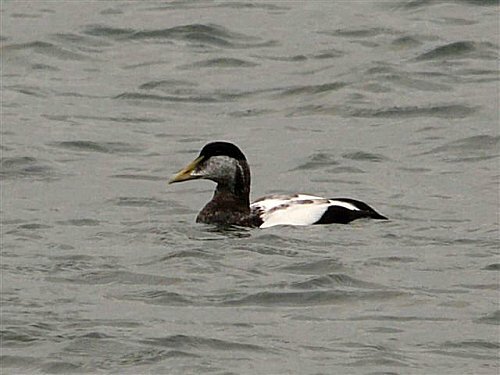 along side one drake Common Eider (Maeve Meehan). One Brambling was seen in a garden on the outskirts of Ennis Town. Three Little Egrets were at Blackweir, Poulnasherry. Two Little Egrets and 20 Brent Geese were at Querrin. Two Little Egrets and two Raven were at Islandavanna, Clarecastle this afternoon. A flock of 50 Whooper Swans were at the Ballygireen Radar Station. One Chiffchaff was in the middle of Ennis Town. One Hen Harrier was at the Shannon Airport Lagoon. Ten Whooper Swans were at Ballycar Lake, Newmarkeet-on-Fergus. One Iceland Gull, one Merlin and three Great Northern Divers were at Liscannor. 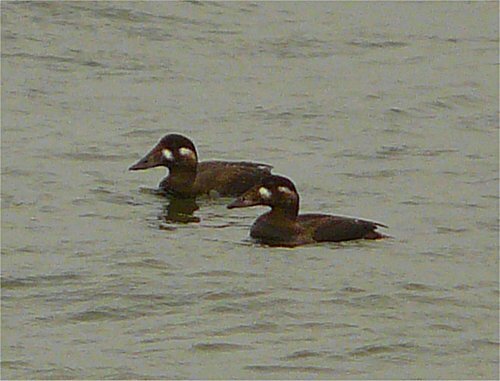 Two first-winter SURF SCOTERS were at White Strand Doonbeg (John N Murphy et al). These are only the 9th & 10th Clare sightings. 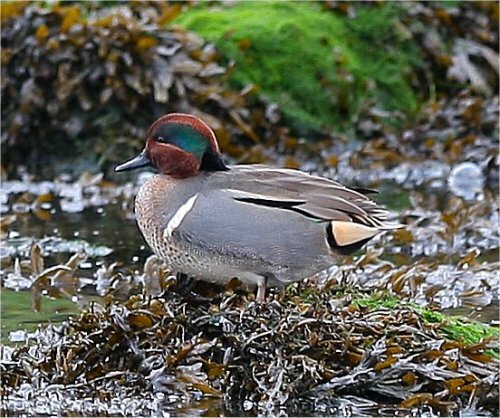 The drake Green-winged Teal was back at Bell Harbour (Tim Griffin). A male Black Redstart was seen near Seafield, Quilty. One juvenile Hen Harrier at Lough Donnell. One first-winter Iceland Gull was at Seafield, Quilty. One adult Mediterranean Gull was at Doonbeg. One Little Egret was at Lahinch Marsh. One Wheatear was at Clahane, Liscannor. 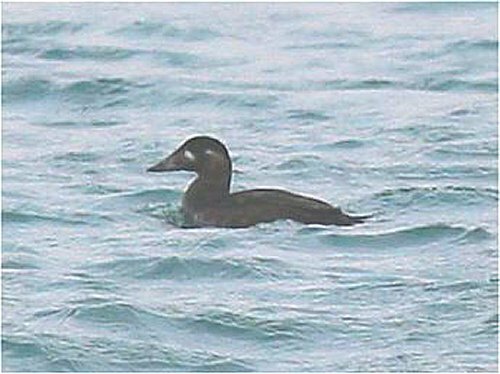 Two Common Scoters were at the White Strand, Doonbeg (Bill Ryan). three Storm Petrels and five Great Northern Divers. One Little Egret was at Querrin. One Little Egret was at Moyasta. There were 30 Barnacle Geese and 50 Golden Plover near Moveen. A flock of 20 Greylag Geese were at Ballycar Lake, Newmarket-on-Fergus. 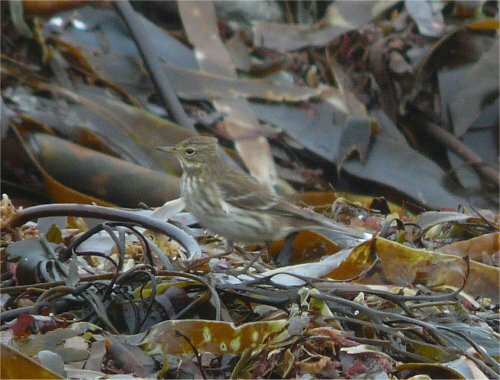 The WATER PIPIT was still in Kilbaha Harbour (Dave McAdams). Also at Loop Head was one Sooty Shearwater and four Great Northern Divers. At the Shannon Airport Lagoon there were 56 Whooper Swans and 6,000 Golden Plover. Ten Whooper Swans and 11 Greylag Geese were at Ballycar Lake, Newmarket-on-Fergus. Four Whooper Swans and one Peregrine were at the Blue Pool, Doonbeg. 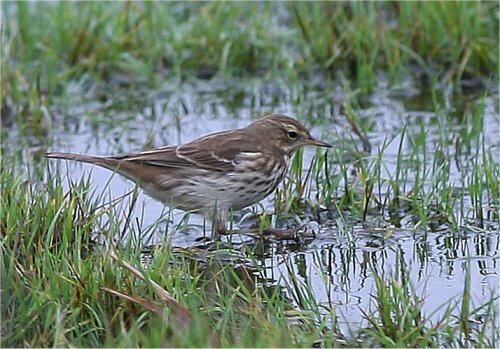 The WATER PIPIT was still at Kilbaha today (Dave McAdams). Also at Loop Head there was one Swallow, two Chiffchaffs, one Woodcock and one Jack Snipe. 30 Common Scoter and two Black Guillemots. A flock of 640 Golden Plover were at Lahinch. Seven Common Scoter were at the White Strand, Doonbeg. One WATER PIPIT was at Kilbaha this morning (Dave McAdams). Ten Whooper Swans were at Ballycar Lough, Newmarket-on-Fergus. A flock of 14 Common Scoter were at the White Strand, Doonbeg. There were two Velvet Scoters were at White Strand, Doonbeg today. One Swallow was seen near Crusheen. A group of seven Eider Ducks were at the White Strand, Doonbeg. 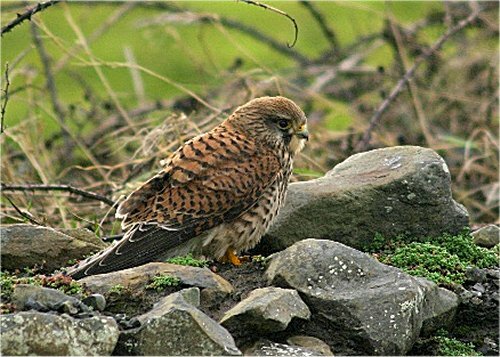 One Merlin was seen at Doonagore Bog. A flock of 24 Red-throated Divers were at Liscannor Bay. One Yellowhammer was at Mullaghmore, the Burren. One drake Green-winged Teal was at Bell Harbour (John N Murphy). One Snow Bunting was at Georges Head, Kilkee. One Snow Bunting was at Loop Head. There was one Black-throated Diver and two Little Egrets near Aughnish Island. One Peregrine, 10 Chough, five Raven and 40 Goldcrests. There were two Little Egrets and 200 Wigeon at Lough Murree, the Flaggy Shore. A flock of 16 Whooper Swans were at Carron Polje. A flock of 40 Little Grebes and one Red-legged Partridge was at Lough Inchiquin, Corrofin. Over 60 Whooper Swans and 45 Tufted Ducks were at Ballyallia Lake, Ennis.